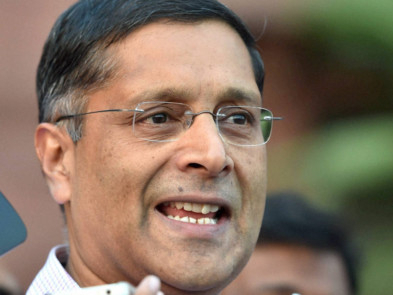 New Delhi: Arvind Subramanian kept a studied silence on demonetisation as long as he was Chief Economic Adviser, but six months after quitting the job he has described the note ban as a massive, draconian, monetary shock that accelerated economic slide to 6.8 per cent in the seven quarters after the decision against the 8 per cent recorded before it. “In the six quarters before demonetisation, growth averaged 8 per cent and in the seven quarters after, it averaged about 6.8 per cent (with a four quarter window, the relevant numbers are 8.1 per cent before and 6.2 per cent after),” Subramanian says in the chapter ‘The Two Puzzles of Demonetisation — Political and Economic’. “ ... But when a shock like demonetisation occurs, that primarily affects the informal sector, relying on formal indicators to measure overall activity will overstate GDP. This hypothesis goes only a small way towards explaining the puzzle since any squeeze in informal sector incomes would depress demand in the formal sector, and this effect should have been sizeable. One answer to the demonetisation puzzle has been that the poor were willing to overlook their own hardships, knowing that the rich and their ill-begotten wealth were experiencing even greater hardship: “I lost a goat, but they lost their cows”, he says. In this view, the costs to the poor were unavoidable collateral damage that had to be incurred for attaining a larger goal.